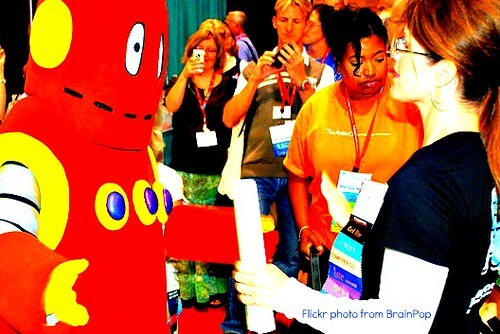 My first NECC (now ISTE) conference was in 2007 - Atlanta - was epic! 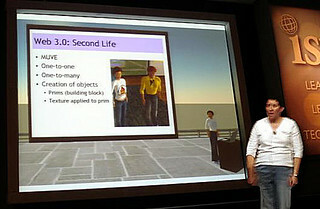 It's also where Kathy Schrock first introduced to me the virtual world of Second Life! See, I had been presenting every year at my state ISTE affiliate MSET since 1996 but had never had the moolah $ or the gumption to go to the "big show" until 2007. When I finally decided that saving all year for the conference was the best investment in my professional growth...I was forever changed. It was crazy! Overhwelming! Exhausting! 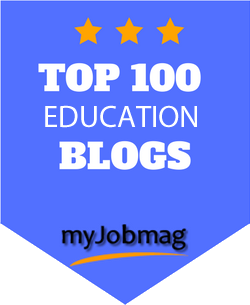 But mostly it was amazingly inspiring and it challenged me to "step up' my professional game and to seriously dedicate myself to being the best educator and change agent I could be. So, if you're on the fence...it's SO worth it! PS. Welcome back to the ISTE Board Kathy Schrock! I'm gonna *try* not to be nervous around you! But First, Why NOT Anaheim & ALA? I mean obviously since I'm on the ISTE Board of Directors - I'm going to ISTE not ALA. Though I have SO many heartstrings that pull towards my fellow librarians and teacher librarians... I've always felt that ALA as a conference and maybe as an organization - treats me like a redheaded stepchild as a school librarian. Like, "Awwww - how cute, you're a SCHOOL Librarian! - Bless your heart!" I have gone to the redheaded stepchild of ALA conferences AASL (which is held every OTHER year) since 2005 Pittsburgh and I LOVE them! 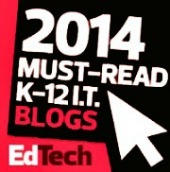 But I guess ISTE has always made me feel equal to all the other ed tech educators! 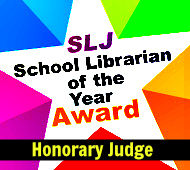 So, though I belong to ALA and AASL and support them for sure - my heart is ISTE, SIGMS, & SIGVE all the way baby! NOW! Let's Talk San Diego! 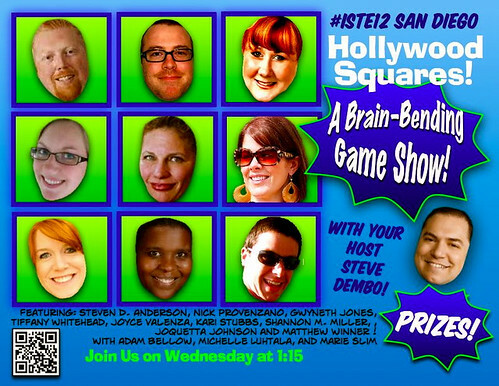 Join me & the ISTE board for a fun. informal, but very informative discussion! ISTE Board Inside Out: What's Next for ISTE? Monday, 6-25 from 11:00am–12:00pm Featuring ISTE President Holly Jobe, ISTE with ISTE Board members. ISTE's new governance model relies on you to contribute your voice and ideas to help build our future as an association. 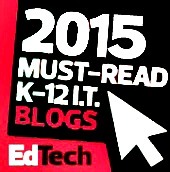 Help set ISTE's strategic course. Share your perspective and ask questions. Let's build the future together! SIGMS Forum With Rock-Star Educators! 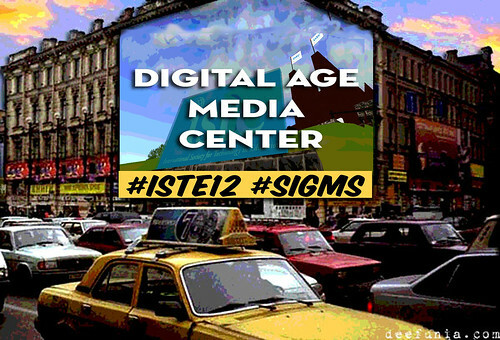 One of the most exciting events of ISTE is sure to be the SIGMS Forum: Expanded Learning Opportunities: Using Social Media in the Library Seats are still available! Tuesday, 6-26 2:00pm–3:15pm Featuring: Lisa Perez, Chicago Public School Dept of Libraries with Jason Epstein, Steve Hargadon, Joquetta Johnson, Tiffany Whitehead and Maureen Sanders-Brunner. Join Steve Hargadon and leading librarians to discuss how social media can greatly expand learning and research opportunities for students in the library. For more information check out the SIGMS Forum Wiki! It's Game Show Time with Prizes! Featuring: Joyce Valenza, School District of Springfield Township with Steven Anderson, Adam Bellow, Steve Dembo, Timothy Gwynn, Joquetta Johnson, Gwyneth Jones, Michelle Luhtala, Shannon Miller, Nicholas Provenzano, Marie Slim, Kari Stubbs, Tiffany Whitehead and Matthew Winner! Our session Wikipage. Think research is dry? Not so! Test your knowledge of current ed tech research on digital culture and learning against our brain-trust of "celebrities" Hollywood Squares-style. PRIZES! We've all put on our Swag-Mining helmets & begged our generous vendor friends for fabulous prizes to give out during the event! 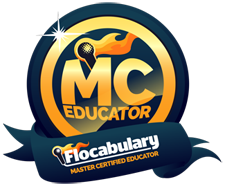 Flocabulary subscriptions & classroom packs, LiveScribe pens, BrainPop goodies, and MORE! Let's Play in the Playgrounds! 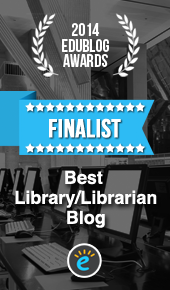 I definitely plan on dropping by & sharing a bit at the SIGMS Digital Age Media Center Monday, 6-25 from 8:00am–4:00pm Connect with school librarians and teachers while learning about innovative technologies and resources that support student development of information literacy skills. Hosted by ISTE's SIGMS. I'm a Social Butterfly! And So Can You! 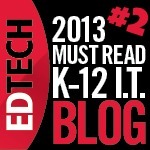 "The best part of ISTE this year won’t be the keynote. It won’t be the epic presentations. 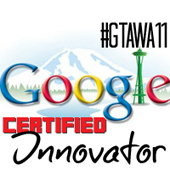 It won’t be the #EduAwesome Ed Tech Karaoke party. No. The best part will be the Social Butterfly Lounge. 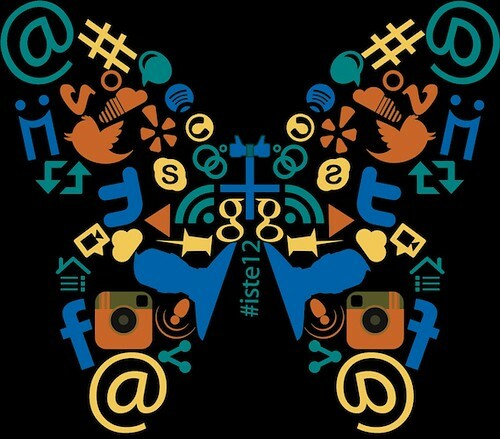 This is our chance to branch out, to show other educators how transformative social media can be. And then we will get more educators excited about connecting with social media. I'm gonna be there Tuesday at 11am! Drop by & we can chat about Twitter, dogs, coffee, New York, no big whoop! 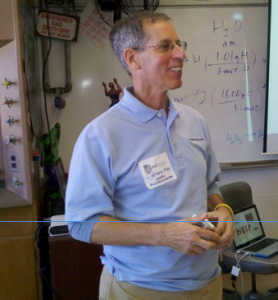 The ISTE Newbie Project - Let's Send Jerry to San Diego! - Pay it Forward! UPDATE! We did it! YAY! Jerry Blumengarten aka Cybraryman1 has been a constant inspiration, a generous PLN leader, and a shameless sharer of information for me for years! If you're not following him I encourage you to do so! He rocks! But sadly, he's never been to the big ISTE conference! Well, that may all about to be changed because @BethStill has named him the ISTE12 Newbie Project well-deserving recipient this year and we have raised 75% of the goal in only 15 or so days! Can we get @cybraryman1 there? As Beth says, "Please thank Jerry for all he has done by making a donation to get him to San Diego. It will not take long to reach the goal of $2000 if a lot of us give just a little." I've donated, just a few dollars can add up quick! A Pause for Thanks. To You. I can't believe now...a mere five years later from my first ISTE conference the aforementioned Atlanta 07-- I'm sitting on the ISTE Board of Directors! What the what? Pinch me! Speaking of that...I'd like to pause for thanks. Without sounding like some kind of smarmy inside the beltway politician but still with heartfelt sincerity, I would like to thank each and everyone who voted for me to serve YOU on the ISTE Board of Directors for two more years as the PK-12 Schools Representative. I'm humbled, honored, and excited to be your dangerously unfiltered voice and advocate in the board room. Never forgetting the "in the trenches" school-based educators teaching and making a difference every day with our kids! Now more than ever we can keep in touch with our PLN & association with the ISTE Mobile App! Stay in touch with ISTE when you're on the go! Have an iPhone? Download the Beta version of ISTE’s new iPhone application by clicking here or searching for “ISTE Mobile” in the iTunes App Store. Have another web-ready smartphone? Bookmark and browse our mobile website. 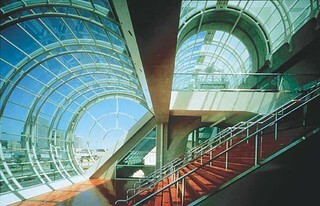 What presentation or event are YOU most looking forward to at ISTE this year? I most looking forward to our Wii Math workshop on Saturday because it's the first time I've ever been accepted onto a national conference on my own accord. (okay... toot toot) But seriously, it should be AWESOME. Also, having been shown a couple ropes last year at ISTE Philly, I think I'm ready to immerse even further into all that the annual conference has to offer. Preparing for mind blown. Will bring change of shirts. I would LOVE it if all Teacher Librarians stopped by my Got Books? poster session at ISTE 2102 -- its 8-10am on Monday morning -- what a great way to start the conference and meet TLs from all over face-to-face! Then we can all head over the SIGMS Playground with our new friends! AWESOME Matthew & Colette! I gotta Tweet this out..NOW! Thanks so much for your comments dears!